Warehouse or inventory management software is an incredibly important part of modern business logistics. With huge volumes of items being transported, packaged, stored and sold every day, businesses need to rely on advanced software in order to keep track of such large amounts of product. 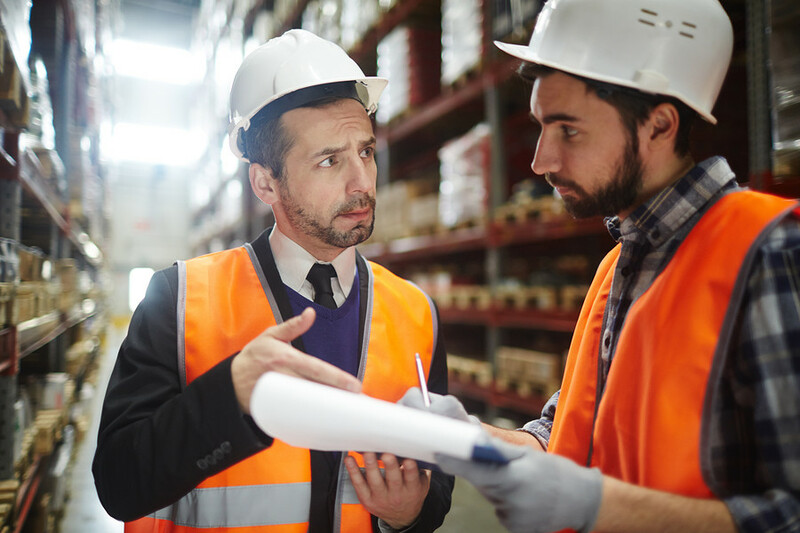 This kind of software ensures proper reporting and oversight of goods while also enabling managers to respond to logistical hiccups in real time. This enhanced level of supervision enables businesses to cut down on the logistical inefficiencies that are costing them money and to streamline their entire backend. However, in order to enjoy these benefits you need to choose the right warehouse management system. To help you out, let’s take a look at the top warehouse management system providers. First established in 2002, Datapel has grown from strength to strength to become a recognized leader in warehouse and inventory stock control and management solutions. Datapel’s commitment to improving the functionality and reliability of small business software has seen its products being recognised by both Microsoft and MYOB (manage your own books). Datapel provides a comprehensive range of WMS products that have a focus on functionality and reliability. 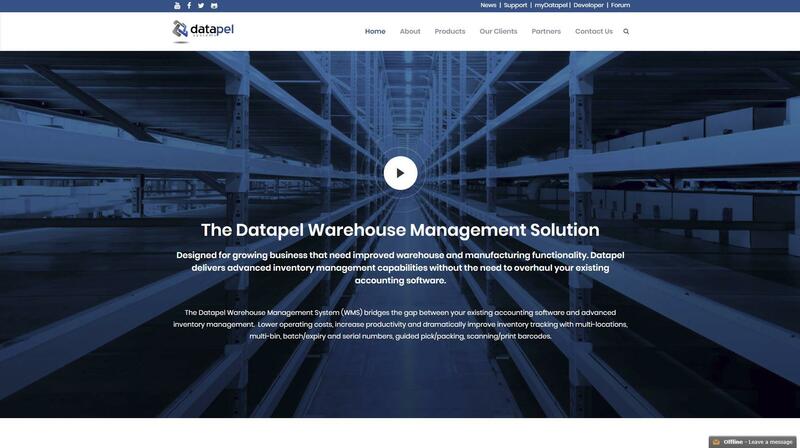 Datapel’s Warehouse Management System is the company’s primary focus and they have dedicated large amounts of time and resources on making it the best product they can. Datapel recognises that not all businesses are the same and will often have different demands of a WMS. This is why Datapel has made their products as fully customisable as possible so that they can suit any business need. One of Datapel’s most attractive features is its full MYOB integration that allows the WMS to work seamlessly with your businesses’ existing accounting software. This cuts the downtime spent synchronising two different systems and lets you get back to the more important tasks of running your business. Datapel’s products are designed for growing small-to-medium businesses that are currently using MYOB accounting software. Datapel’s WMS provides a powerful inventory management solution without needing to completely overhaul your businesses’ accounting system. Datapel’s advanced software allows for tracking of items by batch or serial #’s as well as by barcode or with custom fields. Orders can be viewed based on their flagged status and stock can be managed across several virtual warehouses and across multiple bins. The WMS products that Datapel provides are simply the best when it comes to functionality and convenience. Businesses looking for a fully supported and no-nonsense WMS solution need look no further than Datapel. GML’s warehouse management solution is easy to install and customise. Photo: screenshot from gmlgroup.com.au . GML Group offers a robust array of logistical services with one of them being their unique warehouse management system. GML’s highly customisable software is designed to service the specific requirements of your business no matter what logistical issues you are facing. GML’s fully programmable WMS allows you to manage replenishments systemically, provide accurate counts of stocktakes, manage rotation and use via tracking as well as manage packing and delivery. GML’s highly efficient system allows the software to meet all regulatory standards. GML’s system routinely manages fast-moving-consumer-goods (FMCG) via thorough documentation, labelling, allocation, quality control and invoicing. The software is highly accurate and ensures that little to no time is wasted on reporting tasks. This high level of accuracy means that recalls and warranty batches are easily tracked, cutting down on any negative impact. 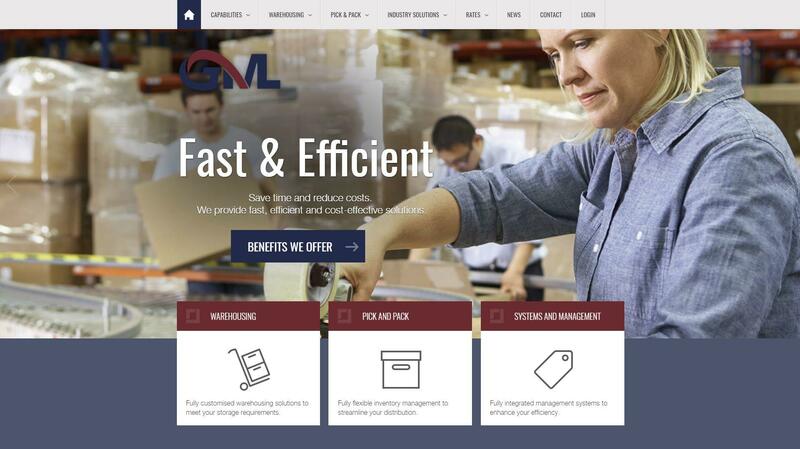 GML’s warehouse management system is a reliable piece of software that is well suited to the needs of a modern business. 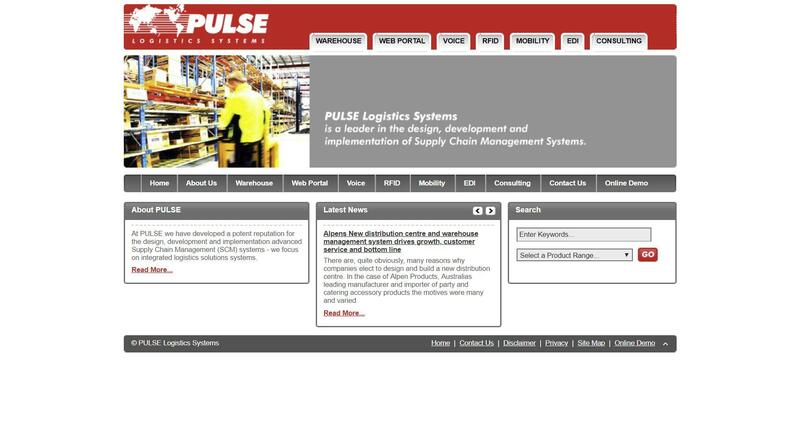 PULSE.WMS is the flagship warehouse management system by Pulse and it seeks to deliver a solution that offers the best in logistical accuracy, efficiency and productivity. PULSE.WMS has been used successfully across several 3PL functions for pharmaceuticals, electronics, automotive parts, food and drink as well as small or spare parts. 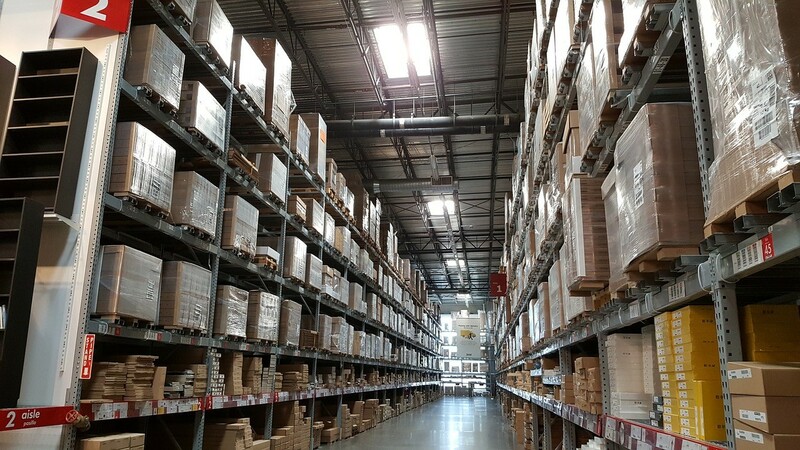 Pulse’s team have many decades of experience in the warehousing field and use this expertise to deliver the best possible product to their clients. The company is up-to-date with the latest knowledge in logistics management and uses this information to improve their WMS any way they can. Pulse’s commitment to research and development means that their WMS is constantly evolving and improving to be the best version it can be. This means that when you invest in a WMS from Pulse you are able to rest assured that the product will continue to be improved upon. Which WMS will you go with? The choice of which warehouse management system to go with is not an easy one, especially with so many high quality offerings available. Ultimately the choice will need to come down to which system is most appropriate for your business and its ongoing logistical needs. If you are already using MYOB accounting software, then Datapel’s WMS is an easy choice for its ease of use and high functionality. The offerings from GML and Pulse also offer adequate warehouse management systems for small-to-medium businesses. 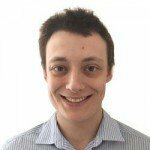 Previous articleHow can property styling boost my sale price?